Semi Trailer, Flat Top Trailer, Semi Trailer for Sale & Rental – Krueger has a reputation for quality. Krueger has a reputation for providing a quality range of Used Semi Trailers. No matter what your requirements. With the largest range of trailers including straight deck & drop deck curtain siders combinations, Flat tops and Skel combinations to keep you moving locally or Australia wide. We handle any Trailer repair job on any make or model. Offering exceptional one-on-one customer service. Our spare parts and suspension division offers quality parts for all makes and models. Best brands at the best prices. Krueger is committed to increasing the profitability and productivity of the transport industry by providing reliable and innovative maximum capacity trailers. We are renowned as a market leader for innovation in semi trailer design and for offering a complete range of semi trailers for sale or rental, which is backed up by our highly skilled servicing and parts division. We offer a comprehensive range of semi trailer solutions and as a family-owned business we have a proud 30 year old history of quality and innovation. 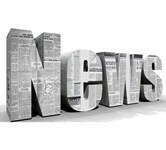 Krueger is widely known for our hands-on approach and customer service. As a leading semi trailer manufacturer we provide customised solutions to an extensive list of clients, each who have different needs. Whether it’s a flat top or a curtainsider, we manufacture a pioneering range of new semi trailers for sale to the Australian transport industry. Our whole entire range has been engineered and developed to meet the very demanding criteria now expected by the Australian transport industry. 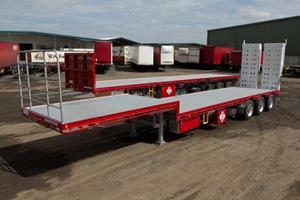 We have a reputation for providing a quality range of used semi trailers which come through on a regular basis. They are all inspected and tested to ensure reliability and peace of mind. Hire is a practical and inexpensive option, often made use of by customers with short-term or long-term needs for time-oriented jobs. 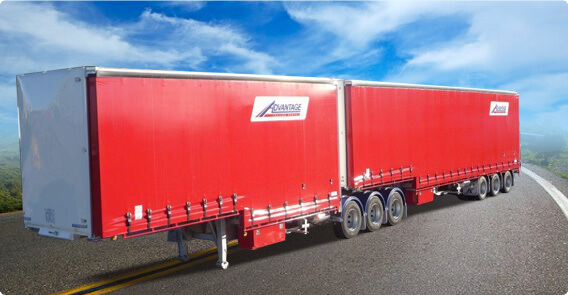 The Krueger Group’s Advantage Trailer Rentals company has a quality fleet of freight trailers, including curtainsiders, skeletals and flat tops. All equipment is guaranteed roadworthy and serviced by our qualified mechanics. The Krueger Group operates a quality service and repairs division. Servicing is available in Melbourne, Sydney and Brisbane and we have agents in South Australia and Western Australia. Our state-of-the-art workshops undertake services, repairs, insurance work and both minor and major refurbishments. Our parts division supplies genuine Krueger semi trailer parts, as well as other general brands. Our parts division is RFS Australia and it offers a full range of parts, including a unique suspension system. We have developed the only Australian-made suspension, specifically designed for our country’s road conditions. It uses smarter, simpler technology that is lighter and more cost effective plus easier to fit without any compromise to safety or quality. As per standard our Road Friendly Suspension comes with all new Krueger trailers. RFS can deliver parts anywhere in Australia. Krueger Transport Equipment, Advantage Trailer Rentals and RFS are all incorporated under Krueger Group. For more information, please contact Krueger on 03 8331 6100 or enquire online.